2x4 Basics DIY Shed Kit - Barn Roof Style | BUDK.com - Knives & Swords At The Lowest Prices! 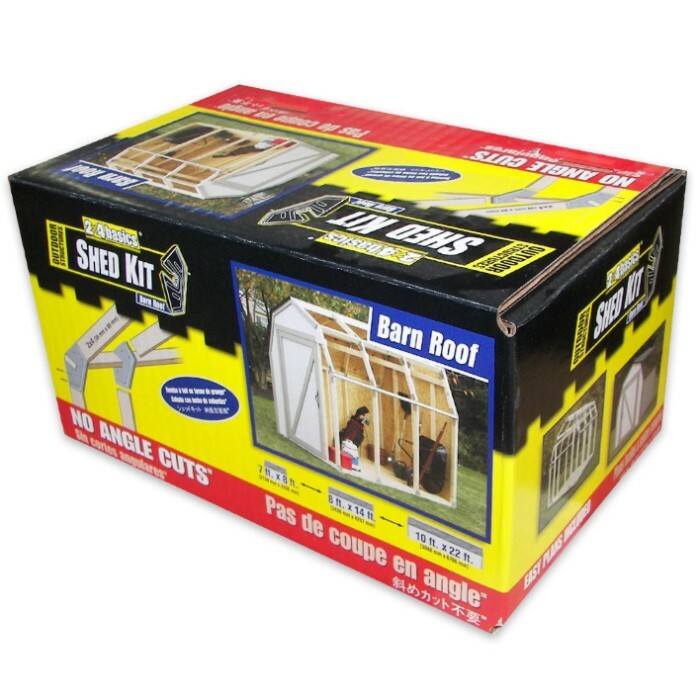 You don't have to be a carpenter to build a sturdy, attractive, professional quality barn roof-style tool or equipment shed in your backyard, thanks to this convenient shed kit from 2x4 Basics. With included materials lists, cut lists and comprehensive instructions with step-by-step images, you don't even need construction experience - just some basic tools, lumber and common sense! 2x4 Basics kits include everything else you need - fasteners, hardware and more. They've truly removed all the hassle and guesswork from building a pro quality barn roof shed! Plans require only straight, 90 degree cuts - no difficult angles. And with 2x4 Basics' patented system of connectors, there are no miters or complex measurements to wrestle with, either! The result is an extraordinarily strong outdoor structure that will withstand the elements for decades. 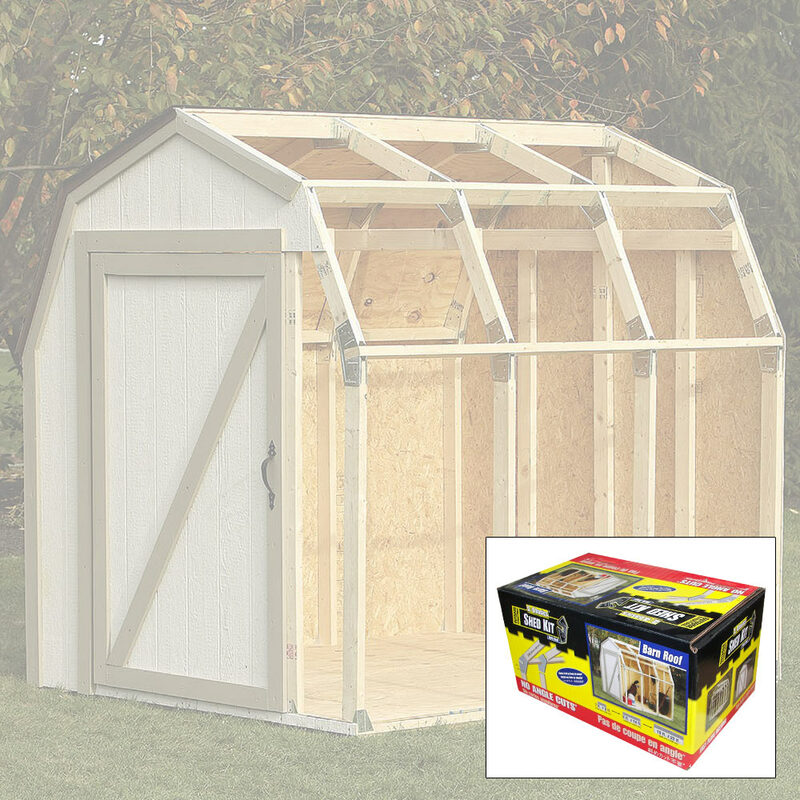 Unlike expensive prefab buildings, 2x4 Basics kits allow you to customize your shed. 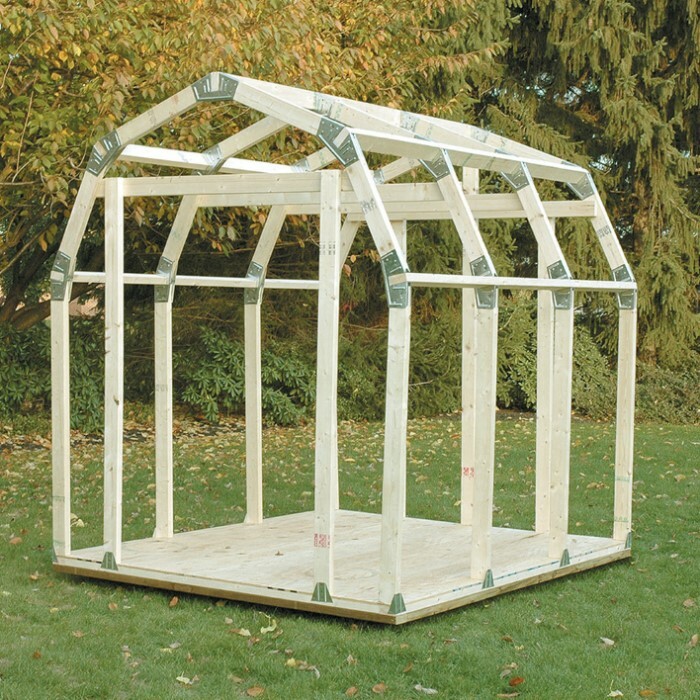 Purchase one, two or three kits to make your shed up to 10' wide x 22' long. Each kit includes instructions for 7' x 8', 8' x 14' and 10' x 22'. You can also choose the roofing, siding, and flooring materials that best suit your tastes and budget (check your local building codes for requirements or restrictions). Best of all, your 2x4 Basics shed is cost effective - saving you 50 percent or more over prebuilt and knock-down shed options! So unclutter your garage and storerooms; quit leaving your hard-earned yard equipment out in the elements. With the 2x4 Basics Barn Roof-Style Shed Kit, anyone can enjoy a spacious, great looking backyard shed - that means you!